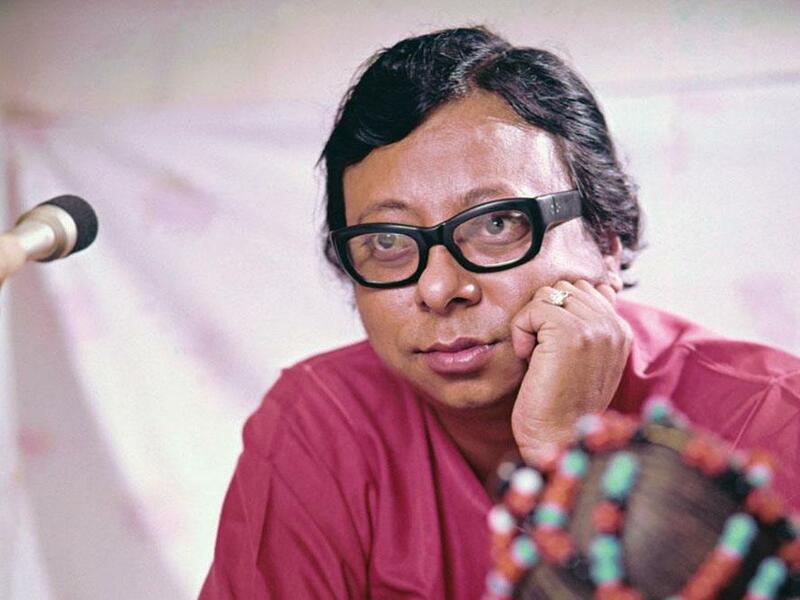 Remembering The Magical Pancham Da- The Original EDM Pioneer! the ever smiling face of Pancham Da on the Google Doodlecommemorated the 77th birth anniversary of one of the most exceptional musical maestros. Everyone was in for a pleasant surprise as we opened the Google homepage today and were greeted by the ever smiling face of Pancham Da on the Google Doodle which commemorated the 77th birth anniversary of one of the most exceptional musical maestros of all times. So we bring you some known and some very unknown facts about the legend! 1. The only son of ace music composer Sachin Dev Burman, Pancham Da was born as Rahul Dev Burman on 27 June 1939 in Kolkata. 2. It is said that the veteran Indian actor Ashok Kumar saw a newborn Rahul uttering the syllable Pa or the fifth note repeatedly, and so he nicknamed the boy Pancham. 3. From the very childhood Pancham was expected to follow in his father's footsteps. But no one had expected that he would come to be known as one of the greatest music composers of his time. 4. When he was nine years old, R. D. Burman composed his first song, which his father used in the film Funtoosh (1956). The tune of the song “Sar Jo Tera Chakraye” was also composed by him as a child; his father included it in the soundtrack of Guru Dutt's Pyaasa (1957). 5. R. D. Burman's first released film as an independent music director was Chhote Nawab (1961). 6. The superhit Kishore Kumar song “Mere Sapnon ki Rani” from Aradhana (1969), though credited to his father, is rumoured to have been R. D. Burman's composition. 7. Burman's career coincided with the rise of Rajesh Khanna-starrer youth love stories. Around the same time, the world was gifted with the great Kishore Kumar. The trio Rajesh Khanna-Kishore-R.D.Burman have worked together in 32 films together! These films and their songs continue to be popular till date.The trio were close friends. R.D.Burman composed for Rajesh Khanna for a total of 40 films. 8. He made electronic rock popular and often mixed disco and rock elements with Bengali folk music. He also used jazz elements, which had been introduced to him by the studio pianist Kersi Lord. 9. R. D. Burman was influenced by Western, Latin, Oriental and Arabic music, and incorporated elements from these in his own music. He also experimented with different musical sounds produced from methods such as rubbing sand paper and knocking bamboo sticks together. The iconic composer was also an unconventional singer and was nominated for a Filmfare for the song “Mehbooba Mehbooba” in Sholay (1975). 10. Similarly, he used cups and saucers to create the tinkling sound for the song “Chura Liya Hai Tumne” in the film Yaadon Ki Baaraat (1973). 11. He also used a rubbed a comb on a rough surface to produce a whooshing sound in the song “Meri Samne Wali Khidki Main” from the film Padosan (1968). 12. He revolutionised the Hindi music industry by infusing it with Western styles. He is popular for his peppy songs such as ‘Dum Maaro Dum’, ‘Piya Tu’, ‘Aaja Aaja Main Hoon Pyaar’ and ‘O Haseena Zulfonwaali’. He has also left behind a legacy of melodious songs such as ‘Waadiyan Mera Daaman’, ‘Chura Liya’, ‘Ek Ladki Ko Dekha’, ‘Tumne Mujhe Dekha’ and ‘Musafir Hoon Yaaro’. 13. Chaitanya Padukone authored a book: ‘R.D. BurMania -- Panchamemoirs’ which unravelled the mystique behind Pancham Da. 14. R. D. Burman's first wife, Rita Patel was a fan, who had bet her friends that she would be able to get a film-date with Burman. The two married in 1966, and divorced in 1971. Supposedly the song “Musafir Hoon Yaaron” was composed by him, when he was at a hotel after the separation. He later married Asha Bhosle. 15. Interestingly, Burman even had a knack for cultivating chillies and he grew hybrid varieties of chillies in his nursery garden as he loved pungent and spicy food. 16. Burman was very affectionate towards the common people and would even seek feedback from them.He would sit with a sweeper and chat with a watchman, or ask the liftman, "Humara gaana kaisa laga? (How did you like my song?)”. He said that they were the real audience, this was his way of testing the pulse of his audience. 17. The music of 1942: A Love Story (1994) was released after his death, and was highly successful. It posthumously won him the third and last of his Filmfare Awards. 18. As per Lata Mangeshkar, he died too young and unhappy. 19. The music of the film Lootera (2013) is a tribute to R. D. Burman. 20. He may be gone but he has managed to inspire generations with his music and has left behind a beckoning legacy forever. Share this as a tribute to the musical maverick Pancham da!